Beekeepers and the public are invited to attend the upcoming pollinator stakeholders meeting on Wednesday, Nov. 15. Key players in the effort to assist Kentucky’s pollinators will brief the group on their progress last year and plans for the coming year and work on joint strategies and timelines. 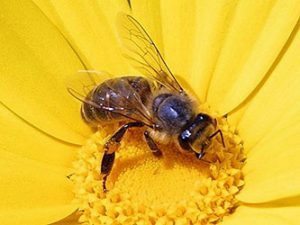 The pollinator stakeholders will meet in Room C105 of the Kentucky Department of Transportation (KDT) office, 200 Mero Street, Frankfort, from 9:30 a.m.-3:30 p.m. EST. The group will report on the different but allied aspects of their shared mission to improve pollinator habitat in Kentucky. “The aim is for the group to coordinate their resources and efforts most efficiently toward their common goal,” said Kentucky State Apiarist Tammy Potter. “The group has been strategizing and meeting on different aspects of pollinator protection before now,” Potter said, “and this joint effort will allow for further coordination of plans and objectives. David Waldner, director of the Division of Environmental Analysis for the Kentucky Transportation Cabinet (KTC), will review the Cabinet’s pollinator promotion initiatives. KTC recently expanded its focus to include bees, after having begun efforts to increase the number of monarch butterfly waystations. Potter will show the progress made by the Kentucky Department of Agriculture (KDA) in reducing hive mortality, increasing pollinator habitat, and advancing education regarding pollinators. She and KDA’s Vikranth Bangaru will demonstrate a newly released KDA software program that notifies beekeepers of upcoming pesticide applications. In the program, beekeepers map the location of their hives so they will receive relevant automatic advance email notifications. Kentucky Department of Fish and Wildlife Resources biologist Cody Rhoden will discuss the work of National Resource Conservation Service (NRCS) state biologist Casey Shrader, who is assisted by Rhoden and biologist John Morgan, in efforts to increase acreage of pollinator habitat and to develop public education. Rhoden will also invite the meeting’s attendees to next summer’s field event, “Life After CREP” (Conservation Reserve Enhancement Program). The experts at that event will advise former CREP contractors on recommended next steps as the Farm Service Agency’s CREP program ends. The program provided funds to help preserve habitats for bees, other pollinators, and a range of other wildlife. Sunni Carr, wildlife program coordinator for the Wildlife Division of the Kentucky Tourism, Arts and Heritage Cabinet, will report on her program’s efforts toward monarch butterfly conservation. Her program aims to increase the number of stems of milkweed, increase the number of monarch waystations, and engage citizen scientists in a voluntary effort to count monarchs. The Columbia Natural Gas team — Susan Murray (database administrator), Tony Tipton (director of land services), and Mike Honaker (land agent and safety coordinator) — will conclude the day’s programs with an invitation to the Pollinator Week Celebration, June 18, 2018, at their Lexington headquarters.